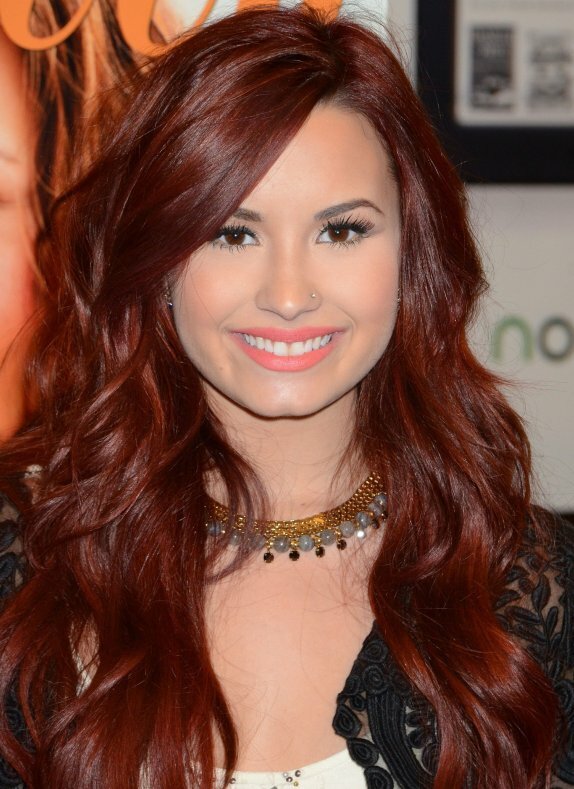 Demi Lovato has covered the hair spectrum when it comes to styles and colors. Demi always takes advantage of her long thick mane and creates amazing hair dos from stunning high sleek ponytails to glamorous loose waves. Here are some of Demi’s best hairstyles over the years. The different looks of Demi. 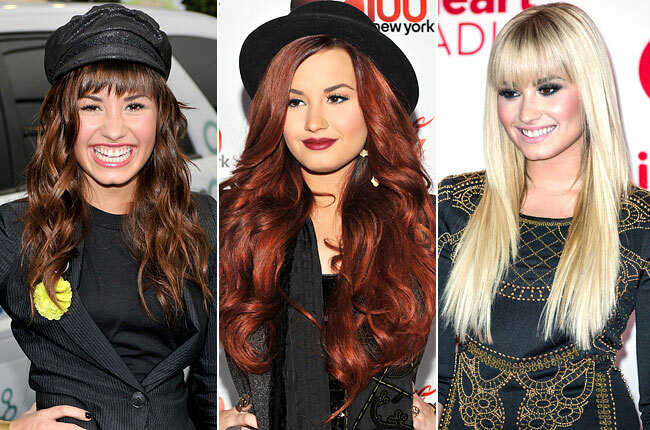 Demi has gone through many colors over the years but her wine red color in 2012 was stunning. She perfectly matched her red hair with a peach-pink lip and simple make up. A lady in red is always gorgeous. 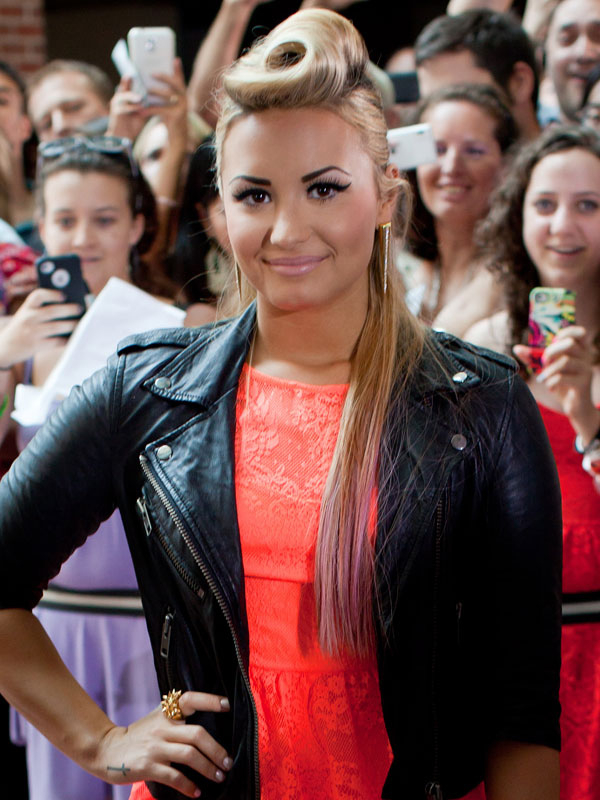 Not many people could pull off the pink ombre top ponytail as well as Demi Lovato. Her pink streaks were flirty and fun with her blonde hair and she covered her hair elastic with a strand of pink hair, which pulled together this bold look. A bold pink look is amazing on Demi. Demi doesn’t just match her outfit; she matches head to toe for a complete look. We love her voluminous side-parted hair with beach waves paired with her chic rocker look. The bold red lips the perfect finishing touch. Glam rock looks amazing on this singer. Demi always takes advantage of her long full locks. She showed off her fun side and beautiful hair with this long side-swept fishtail braid with blue hair. Demi knows how to rock a fishtail braid. This beautiful singer doesn’t always wear her hair in bold colors or long hairstyles. She is versatile and that’s why she is such a huge hairspiration to so many of us. She rocked this simple and natural top knot and spiced up her eye makeup to balance the simple hairdo. A classic topknot always looks amazing. Demi took a classic pin-up hairstyle and put her own rocker twist on it with a the lavender tips. She didn’t hold back with her eye makeup either by opting with a winged eye. Pin-up girl meets rocker chick with this look. One of Demi’s biggest hair evolutions was when she stepped out with long layered blonde hair and a full row of bangs. She made the evolution from brunette to blonde effortlessly and her black make up creates a beautiful contrast with her hair. A bold new Demi Lovato look.